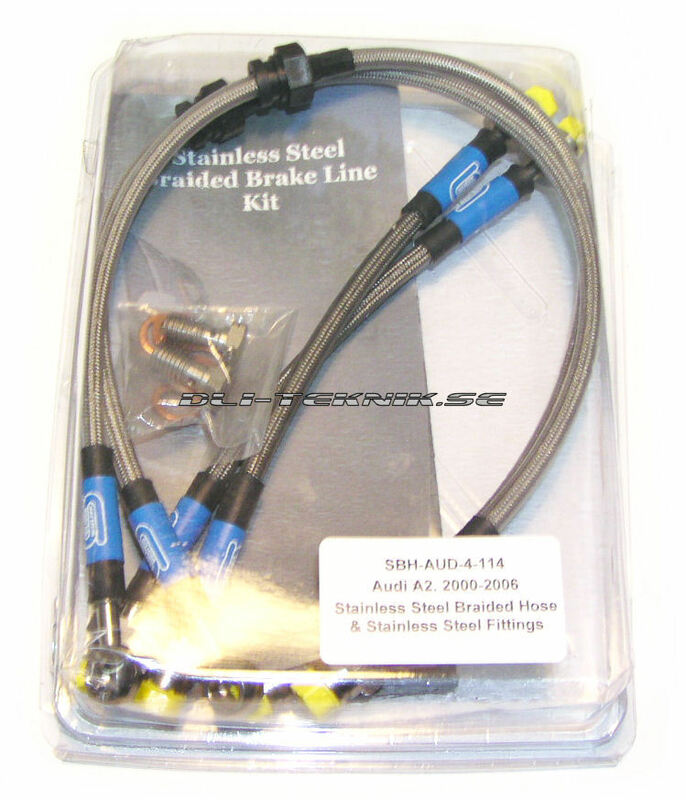 1 new kit of metal braid brake hoses that fits front and rear brake. The hoses reduces unnecesserary flexure and improve the feeling in the break pedal. All hoses are manufactured in age-resistant metal braid teflon. The connections are compressed for highest safety. The hoses resists high temperatures and are unaffected to oil.